Katrina Gutierrez is a children’s literature specialist from the Philippines. All her life, she has been fascinated by the way art, film and literature are influenced and transformed by cross-cultural interactions, in particular the mixing of Asian and Western images, icons, and folk tales. Following a PhD in children’s literature at Macquarie University in Sydney, Australia, Katrina has been granted fellowships at several international research centres and given lectures on children’s literature to university students, authors and illustrators in the Philippines, Australia and Denmark.Her study, entitled Mixed Magic: Global-local dialogues in fairy tales for young readers, will be published in the Children’s Literature, Culture and Cognition Series of John Benjamins this year. 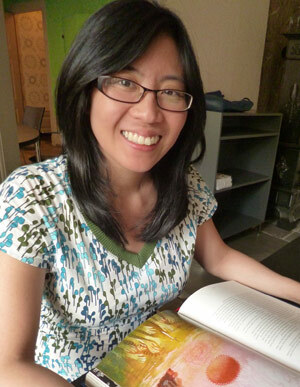 Katrina has worked as a project editor for Adarna House, a publisher of children’s books in the Philippines. 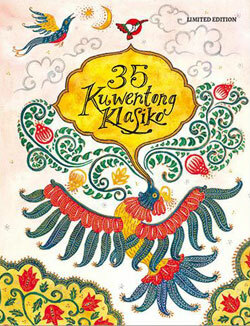 She authored the foreword for 35 Kuwentong Klasiko [’35 Classic Stories’] (Adarna House, 2015), which won the 2016 National Book Award for Best Anthology in a Philippine Language. She is currently the Communications & Project Manager of Lantana Publishing, a London-based independent publisher with a mission to achieve a more diverse and inclusive children’s book landscape (and short-listed for the 2017 Bologna Prize for Best Children’s Publisher of the Year) – she loves every minute of it; and she wants to spend the rest of her life making books. I was thrilled when Marjorie asked me to put together a reading list of books from or about the Philippines written in English. 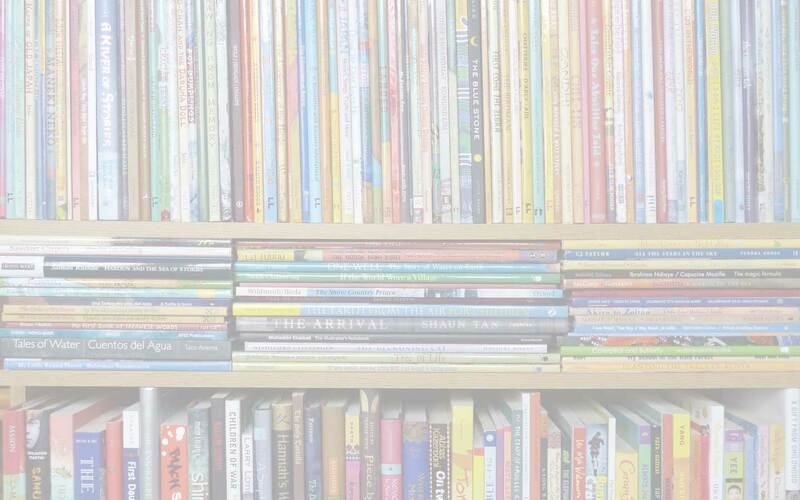 We have a very young but robust children’s publishing industry, with several authors and illustrators making their mark in different parts of the world. I sat down and began my list. That list grew…and grew…until I realized I needed to call on my academic mind to give some structure to my enthusiasm. So I focused on those books that I enjoyed reading (these inevitably reflect my interests, history and fantasy) and, given the blog’s theme, that I feel answer the question, “What is it like to grow up Filipino?” These stories give an idea of the diverse backgrounds and experiences of Filipino children and the values and traits that form the core of our national identity: the importance of family, our resilience and optimism in the face of difficulty, and the way magic and faith continue to define our modern lives. Finally, I have a special section for the Filipino child ‘Growing Up Abroad’. Nearly every Filipino has a friend or family member who is studying or working in another country. 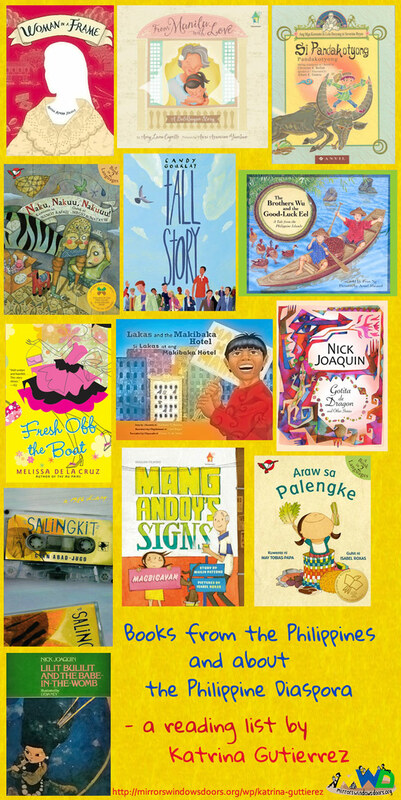 The Philippine diaspora has raised important questions of what it means to be Filipino and these books engage with the desire to develop a more inclusive and diverse world based on empathy and understanding. All of these books (save for one series) can be purchased from the publisher’s website, Amazon or The Book Depository. 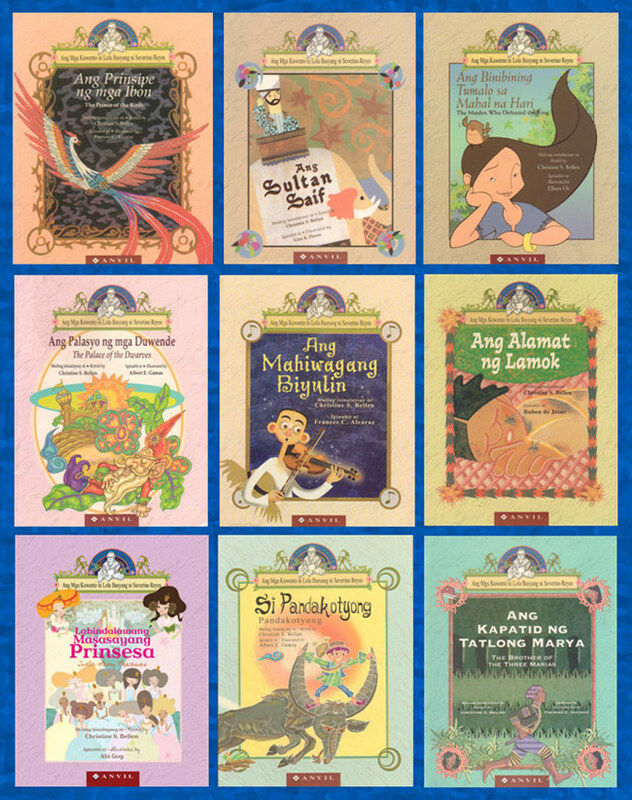 The books with Filipino titles are bilingual. This sweet story captures the awe a young girl feels on her first visit to the market and the sweet bond formed with the mother who introduces her to this messy, smelly, colourful and ultimately fascinating place. Isabel Roxas very charmingly illustrates the scenes from a child’s point of view. This book won the 2013 IBBY-Sweden Peter Pan Prize. 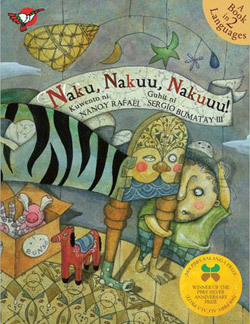 From their citation: The Filipino picture book Naku, nakuu, nakuuu! represents a part of the world not often seen in Swedish publishing for children. The theme, however, is universal: A child getting a younger sibling. The boy Isko’s anxiety about the changes he suspects will take place in his family is expressed by the recurrent cry of “Naku, nakuu, nakuuu!” (roughly “My, my, oh my!”). The illustrations mirror the main character’s apprehension, and visualize his fears in an imaginative and detailed way. Through a changing palette of colours the pictures follow Isko’s mood from anxious bewilderment to the harmonious final page. 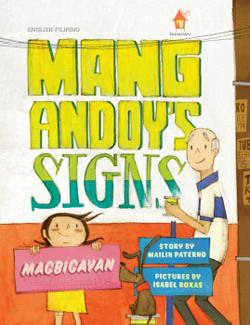 When the Mayor complains to Mang Andoy that no one in town follows the rules, Mang Andoy takes on the challenge to create signs that would turn their willful community into law-abiding, and most of all, considerate citizens. Paterno’s prose is simple yet rich, and Roxas’ playful signs and whimsical street scenes complete this introduction to the subtle art of persuasion. 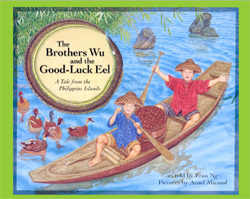 Based on a true story of two brothers whose boat collides on a rock while delivering a basket of handsewn slippers up the Pasig River, and the eel that brings them luck. This tale is set in Chinatown in the early 20th century and focuses on the Chinese community. 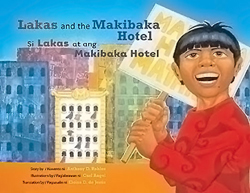 An important book for early readers reminding us that the Philippines is a multicultural society. Christine S. Bellen and a host of illustrators create twenty picture-book retellings of the fairy tales of Grandmother Basyang, our very own Mother Goose. Many Filipinos are still surprised to learn that this beloved grandmother is a man named Severino Reyes, a revolutionary playwright. Fairy tale enthusiasts will appreciate how Reyes combines traditional folklore with fairy tales from Europe and Asia to highlight Filipino resilience, ingenuity and creativity. 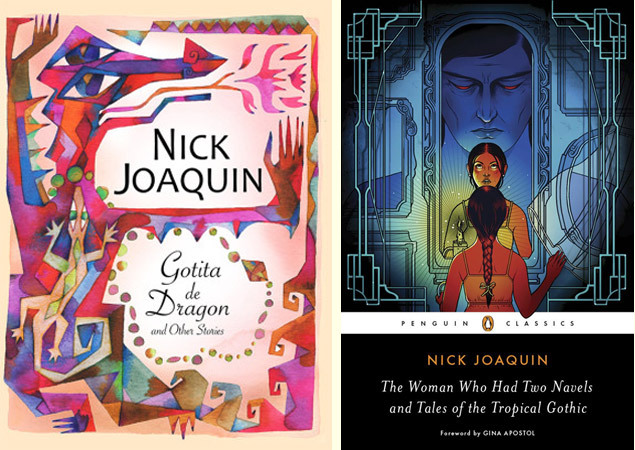 Nick Joaquin is a National Artist for Literature and considered by many to be the greatest Filipino writer in the English language. Pop Stories for Groovy Kids (divided into a Red and Green Series) is the title of his ten-book series for children, each one beautifully illustrated by the nation’s top artists. Joaquin brought to his children’s stories those qualities that set his adult works apart. 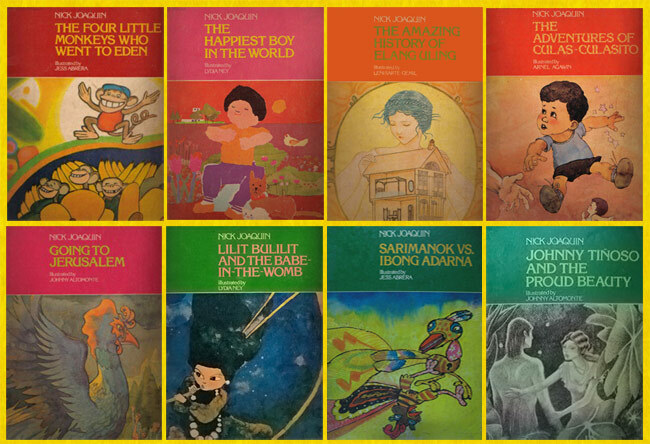 His stories explore modern Filipino childhood by giving a contemporary twist to folk and fairy tales – underpinned by social and political commentary, for those who wish to look. He often pushes the horizons of stories and language by blending genres, and readers can see his enjoyment through his cheeky sense of humour. Many of us are still hoping for the day Pop Stories will be reprinted – there is a Facebook page dedicated to just that! Until that day comes, check out Gotita de Dragon and Other Stories (Anvil Publishing), a collection of five of Joaquin’s children’s stories that were not included in the Pop Stories series but were written in the same style. The British Library also has a copy of Joaquinesquerie: Myth a la Mod (1983), a compilation of all fifteen children’s stories without the illustrations. And if you would like to check out Joaquin’s literature for adults, Penguin Classics will be reprinting his most famous works in the omnibus The Woman Who Had Two Navels and Tales of the Tropical Gothic in May 2017. A sweet story about a young girl’s coming of age in an extraordinary year: the year of People Power against Martial Law, the Year of the Tiger, and the year of Halley’s Comet. 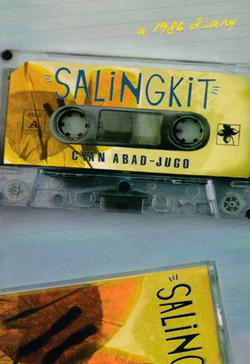 Abad-Jugo does a wonderful job juxtaposing the everyday concerns of a Depeche Mode fangirl – her anxieties about her mother, who works abroad; a missing father; and her too-cool friends –with the momentous events happening in the country. The title ‘salingkit’ describes someone who is on the outside looking in – a feeling familiar to every teenager in the world. This is an amazing book that interweaves the stories of two female artists from different periods in time. Ning Labrador is unexpectedly moved by an old portrait; thus begins her search for the unknown artist’s identity, all while she struggles to find her own artistic style. 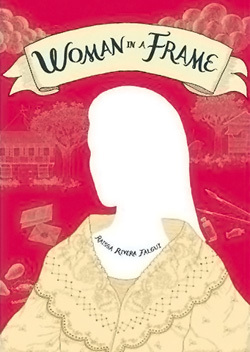 Falgui brings to light the role women played in the Philippine Revolution against the Spanish colonizers and relates it to modern-day issues of equality. 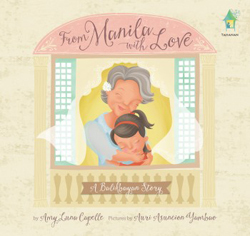 A charming story about a little girl’s first visit to Manila told in rhyming verse, this book shows what it is like to ‘come home’ to the Philippines. A love letter to all Filipinos abroad and to anyone who wants to visit the country. The story of Vicenza, whose family relocates to America after they lose most of their wealth in the Philippines, offers the typical tale of a popular princess who becomes an outsider but from the perspective of a Filipino immigrant. A fun and quirky read, all teens will be able to relate to the tensions between Vicenza and her parents as she attempts to fit in while her parents offer their support yet desperately cling to their traditions. But for me, the biggest contribution of this book is that it develops a more inclusive American YA romance landscape by making a Filipino the romantic lead. Melissa de la Cruz is the author of the popular paranormal series the Bluebloods and the Au Pairs. 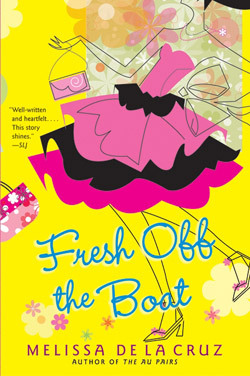 It was not until I saw the semi-autobiographical novel Fresh Off the Boat that I learned she is a Filipino-American. 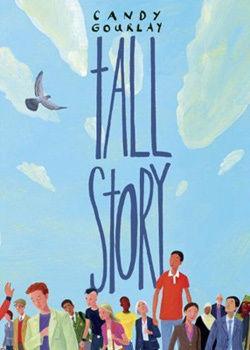 Tall Story has received accolades from all over the world, including a nomination for the Carnegie Medal. This delightful exploration of the different meanings of ‘tall story’ centres on two siblings who grow up in very different worlds – Andi in cosmopolitan London and Bernardo in a small town in the Philippines – and the love for basketball that brings them together. Gourlay’s strength is in the authenticity of each of the main characters’ voices – Andi and Bernardo, and also their mother. Their different perspectives give readers a deeper reflection of the effects of the Philippine economic diaspora on families. They also sound like people I actually know, which delighted me no end. Gourlay’s masterful interweaving of faith and folklore, miracles and modernity, also make this an impressive and very rich read. If you can choose only one book from this list, make it this one. 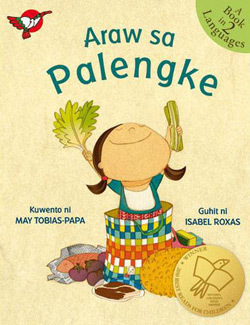 A Day in the Market/Araw sa Palengke, Adarna House, Aline Pereira, Amy Luna Capelle, Ang mga Kuwento ni Lola Basyang ni Severino Reyes [The Stories of Grandmother Basyang by Severino Reyes], Anthony D. Robles, Anvil Publishing (Philippines), Arnel Mirasol, Auri Asuncion Yambao, Bologna Awards, Candy Gourlay, Carl Angel, Children's Book Press, Christine S. Bellen, Cyan Abad-Jugo, David Fickling Books, Fran Ng, Fresh Off the Boat, From Manila with Love: A Balikhayan Story, Gotita de Dragon and Other Stories, Isabel Roxas, Joaquinesquerie: Myth a la Mod, Katrina Guttierrez, Lakas and the Makibaka Hotel, Lantana Publishing, Lee & Low (US), Mailin Paterno, Mang Andoy's Signs, May Tobias-Papa, Melissa de la Cruz, Naku, Nakuu, Nakuuu!, Nanoy Rafael, Nick Joaquin, Philippines, Pop Stories for Groovy Kids, Raissa Rivera Falgui, Salingkit: a 1986 Diary, Sergio Bumatay III, Severino Reyes, Tahanan Books, Tall Story, The Brothers Wu and the Good Luck Ee, The Woman Who Had Two Navels and Tales of the Tropical Gothic, Woman in a Frame. Bookmark. What a great list! I’ve pinned this on my Diverse Kids Book board. Fantastic to read this – and to see featured some books I’ve picked up in the Philippines as well as the work of so many talented creators I’ve had the privilege of meeting. Thanks, Katrina and MWD! WOW! This is the motherlode of awesome diverse book ideas. Thanks for being part of the #DiverseKidlit linkup! 🙂 Thank you, Rebecca – My tbr list has certainly got (even) longer! What a great list! I hadn’t heard of any of these books, but about half of them are on my TBR now. Thank you for sharing, I’m especially excited to read the last two.